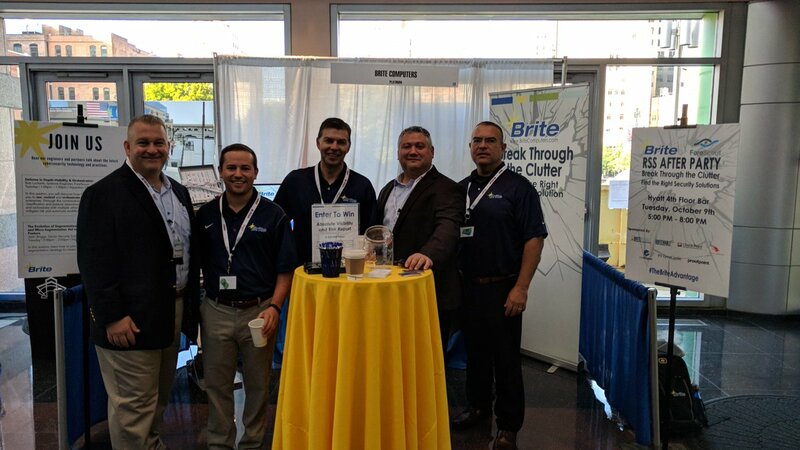 Brite’s Top 5 Takeaways from RSS! After the conclusion of the 2018 Rochester Security Summit, Brite is excited to share the top 5 takeaways from the event. Over the past 6 years, RSS has grown in reach, pulling in about 600 Upstate New York cyber security professionals to the Rochester Convention Center. We were excited to participate with so many great technologies and speakers. Check out the top takeaways below! One major struggle organizations face is the opposing forces between the network and security teams. Rightfully, the network team ideally wants an easy, manageable network while the security team wants implement the best protection. The two teams no longer need to be at odds with unobtrusive device visibility provided through ForeScout CounterACT. As discussed in the ‘Defense in Depth’ speaking track, ForeScout provides real-time agentless, passive scanning for full visibility into what devices are on the network. Both the network and security benefit from knowing what is on the network and appreciate the ease of use. Gartner named privileged account management as the number one security project for 2018. Privileged accounts are most commonly exploited in cyberattacks because of the access they hold to the rest of the organization. If sensitive data is accessed, it can cause irreparable damage to the company. Privileged accounts management strengthen security by efficiently detecting and responding to suspicious activity and malicious actions. CyberArk’s privileged account management solution helps manage credentials and access rights, proactively monitor and control privileged account activity, identify suspicious activity and quickly respond to threats. Network and Micro-segmentation? It’s simple. You need it. It’s the concept of taking a large group of hosts and creating smaller groups that can communicate with each other. Segmenting the network reduces an attacker’s ability to travel laterally to your critical assets. Unlike in the past where IT staff had to manually update network access, segmentation can now be automated. Tools like ForeScout’s platform uses real-time device context to automate policy-based assignment through agentless visibility. Illumio approaches segmentation by providing a real-time visualization of traffic flow. It offers the creation of adaptive segmentation policies for a group as specific as an individual’s workflow. Traditionally, SIEM management is incredibly labor intensive for a round the clock team. Alerts coming in at all hours can indicate a potential attack and threat to network. A managed SIEM service can offload that daily task from the IT staff. BriteProtect is a managed security service that collects all events, correlates the incidents and cut out the noise of false positives. As a service, this allows your staff to focus on strategic projects and the most critical alerts. Email fraud accounts for 90% of enterprise attacks, with spoofing as a very common method whereas attackers spoof fields automatically filled out and not seen by the sender or recipient. So, it is possible for the sender to spoof the sender’s identity and make it look like the email is from a different sender. Due to the high number of email attacks, it is important to implement protection. One solution that is offered by Proofpoint is DMARC technology. This is the first email authentication technology that ensures an email is legitimate by authenticating it against standards. DMARC protects against threats including business email compromise and consumer phishing. Do the top 5 takeaways from this year’s Rochester Security Summit align with your priorities?